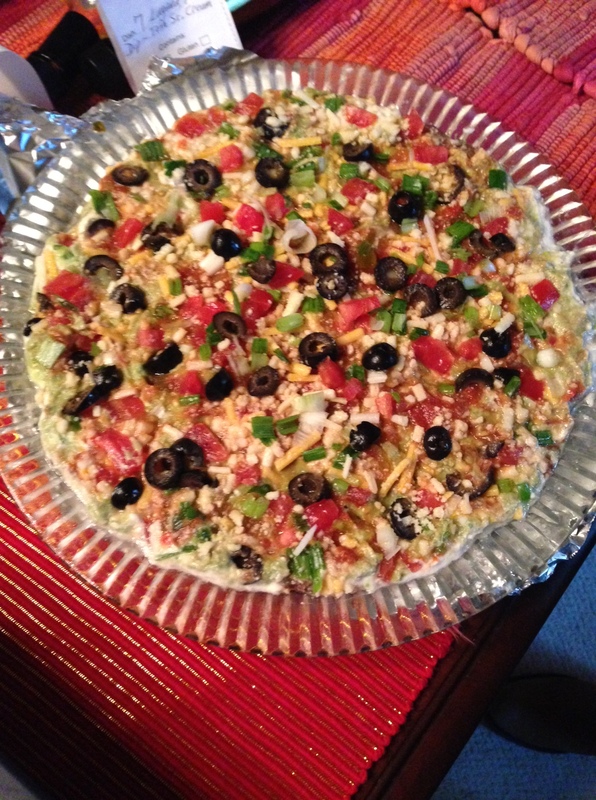 Oh, don’t you just love seven layer dip? It’s an appetizer or a meal, depending on how you’re feeling. Here is Marilyn Zimmerman’s take, which she was kind enough to email me. Thank you, Marilyn! 1 pkg. (1-ounce) taco seasoning mix – I used chili powder, cumin, garlic powder/salt to taste. 1 small can chopped/sliced jalapeño peppers (optional) – I did not use. 1. In a medium bowl, stir together the refried beans, chili powder, cumin, garlic powder/salt. 2. Spread bean mixture in a shallow serving dish about 1/2 inch thick. 3. Next layer on the mashed avocado, vegan sour cream, & salsa. 4. Next, sprinkle the grated vegan cheese on top of the salsa. 5. Finally, top with diced tomatoes, green onions, & black olives. 6. Serve with tortilla chips! One 12-oz. package extra firm silken tofu, drained. Combine all ingredients in a blender & puree until smooth & creamy. Chill until ready to serve.